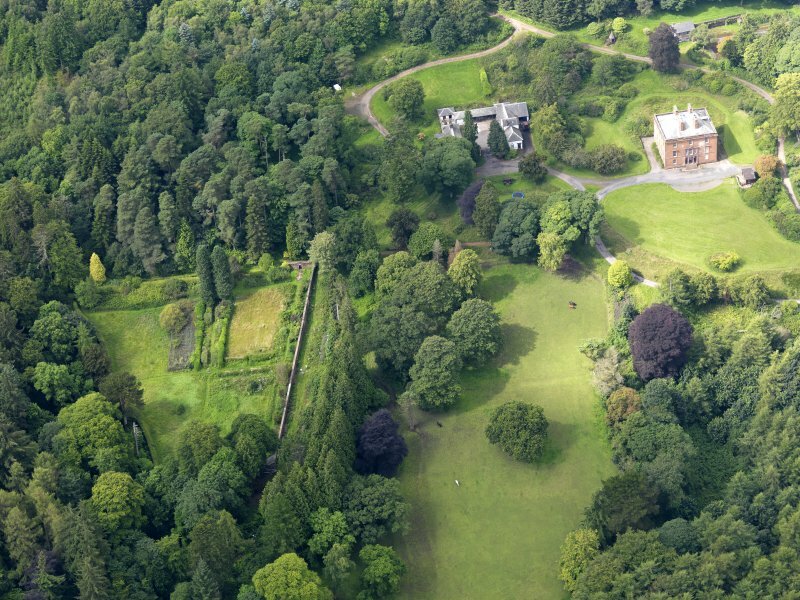 Oblique aerial view of Rammerscales House and policies, taken from the ENE. 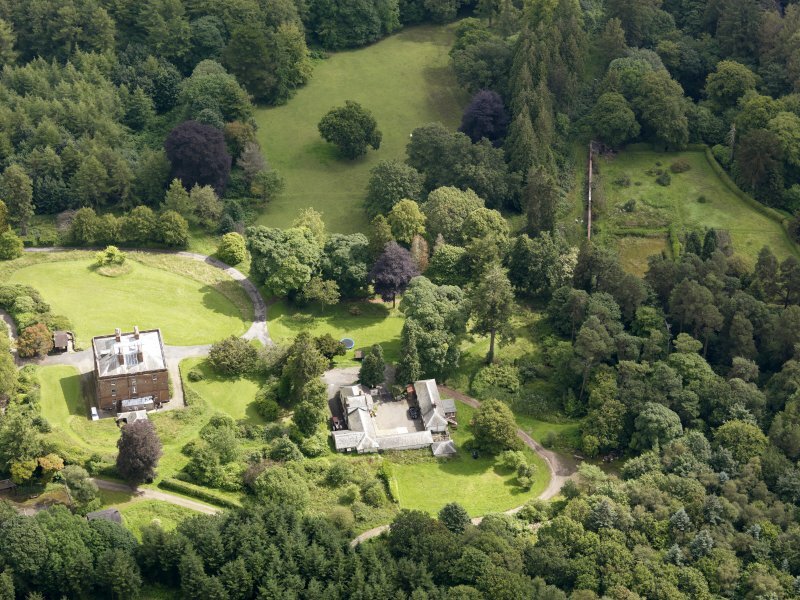 Oblique aerial view of Rammerscales House and policies, taken from the SSW. 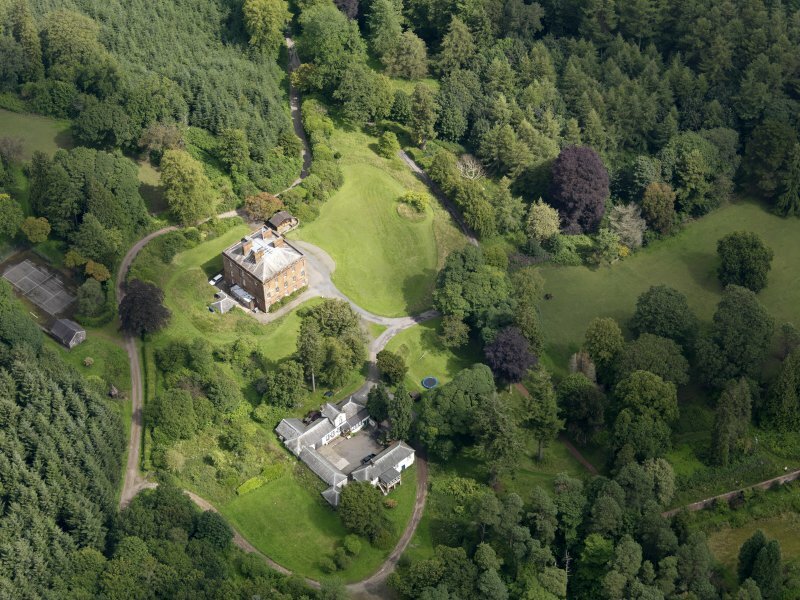 Oblique aerial view of Rammerscales House and policies, taken from the WSW. 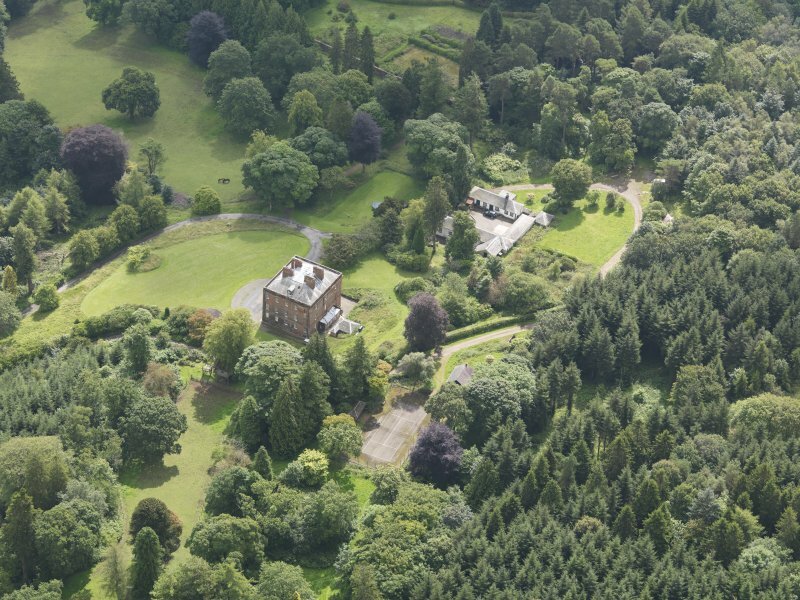 Oblique aerial view of Rammerscales House and policies, taken from the WNW. A three-storied red sandstone house, built about 1750 by Dr James Mounsey, at one time physician to Catherine the Great of Russia.